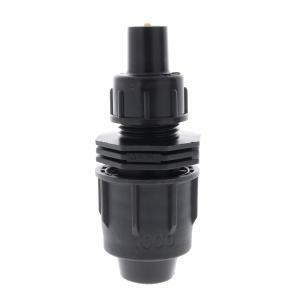 These Perma-Loc tubing x flush valve end caps are a one-way valve used for automatic flushing of the tubing at the beginning of each irrigation cycle. This low pressure valve allows water to flush out at system start-up with as little as 0.66 GPM (39.6 GPH) flow required to close the valve. The valve opens at shutdown when system reaches 0.87 PSI.